With our wide range of machinery, Hindley can fabricate parts which meet your specific needs. Our capabilities include forming wire in diameters from 1/32" to 5/8" and flat stock in various widths and gauges. 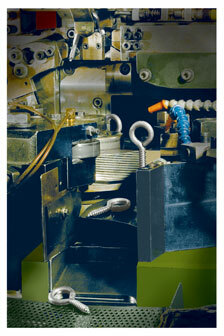 Our fully automated machinery can economically produce both high and low volume orders. 75 4-slides ranging in wire diameter from 1/32" to 9/16" diameter and feed lengths up to 32"
6 forming and threading machines that can manufacture parts from 3/32" to 1/2" diameter, lengths up to 26". 2 OMCG Model 1200 with capability of 25 forming slides, up to 5/16" diameter wire with unlimited feed lengths. wire shaping, heat treating, plating, lacquering and passivating. 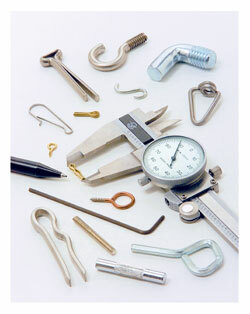 In our extensive toolroom, experienced tool makers produce the tools necessary to manufacture you special wire parts. Our Quality Control Department employs modern testing equipment to measure and test all incoming and outgoing products. Internal Statistical Process Controls are used to insure that you special wire parts meet your exact specifications. 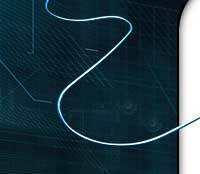 Traceability of our manufacturing processes can be furnished upon request.